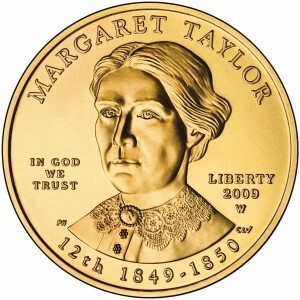 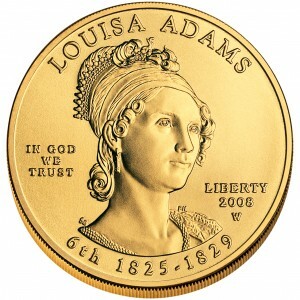 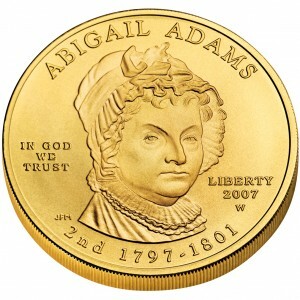 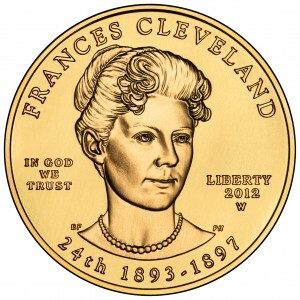 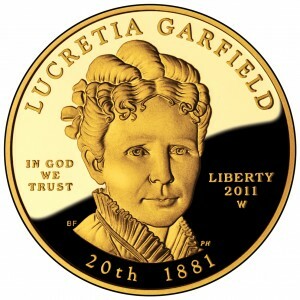 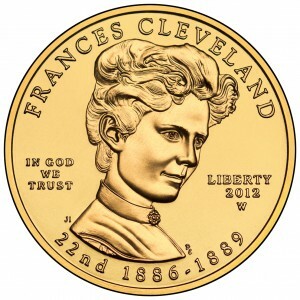 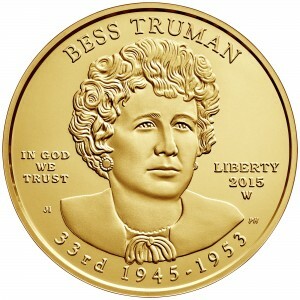 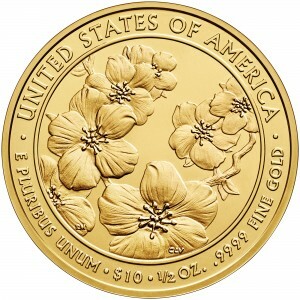 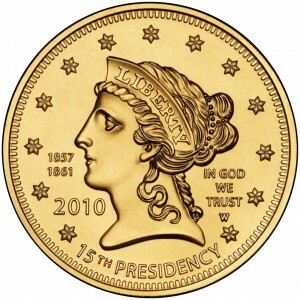 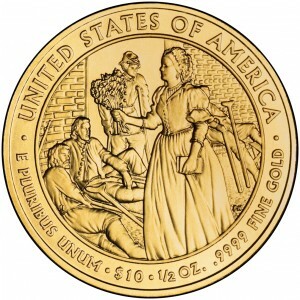 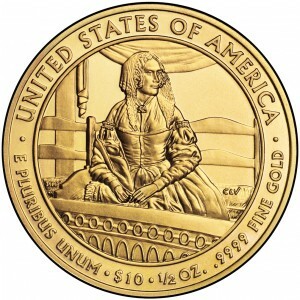 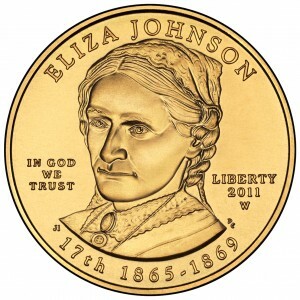 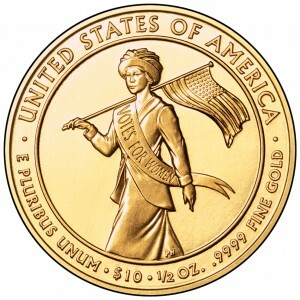 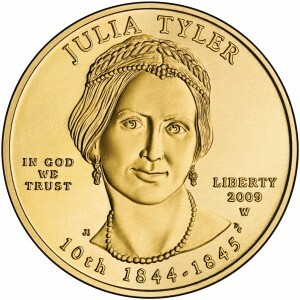 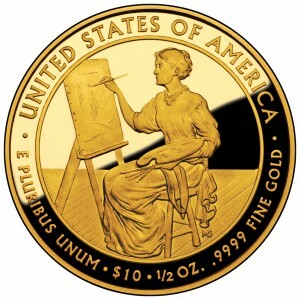 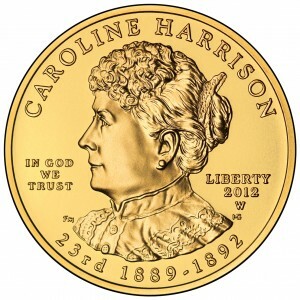 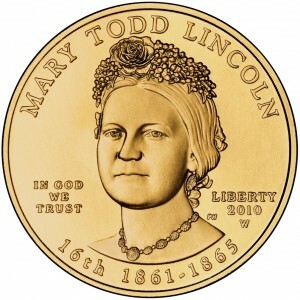 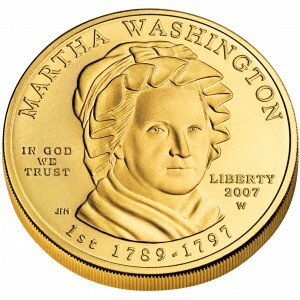 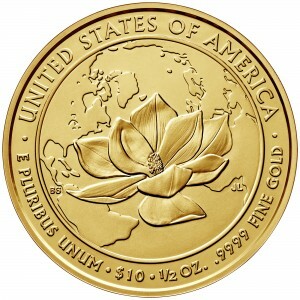 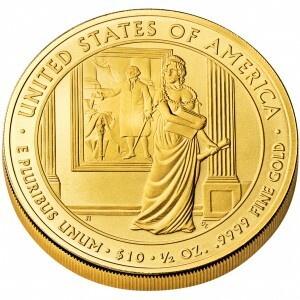 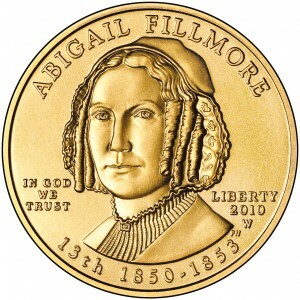 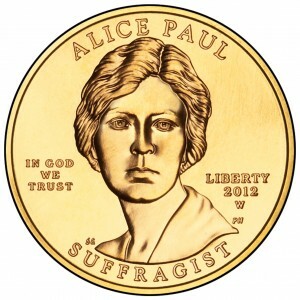 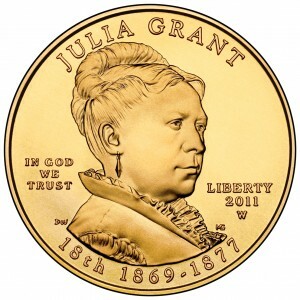 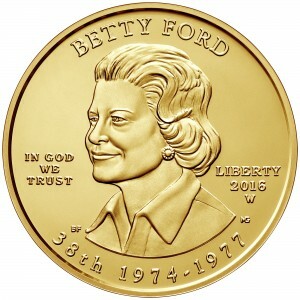 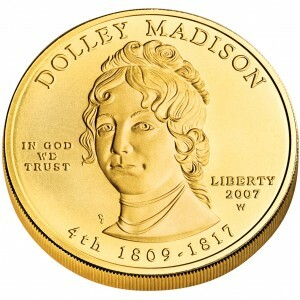 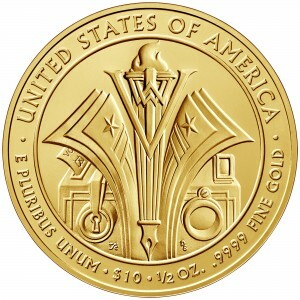 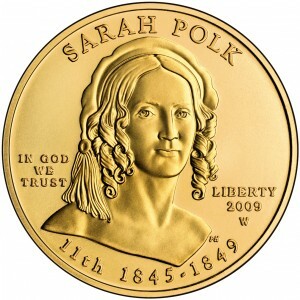 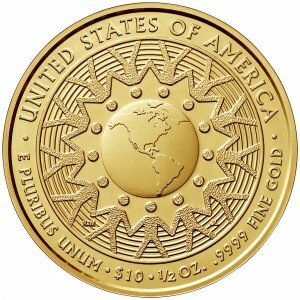 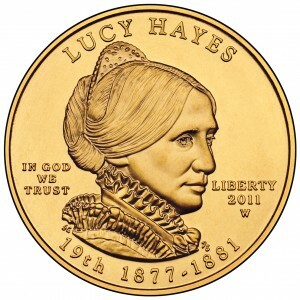 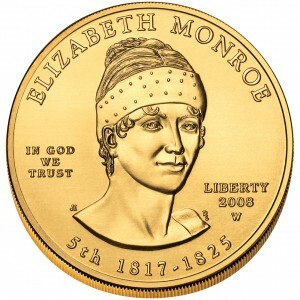 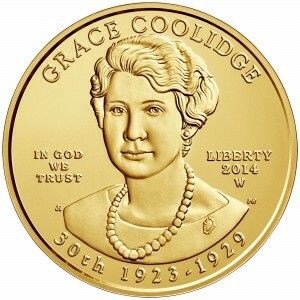 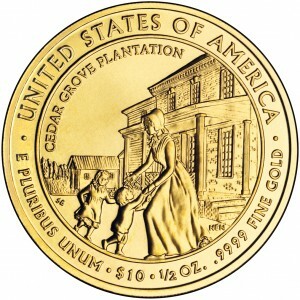 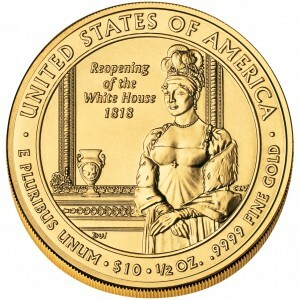 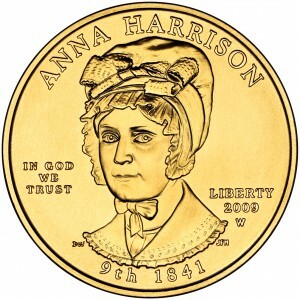 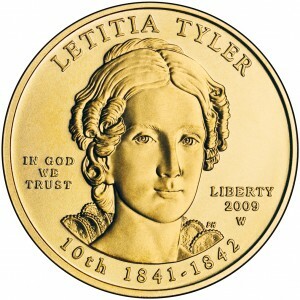 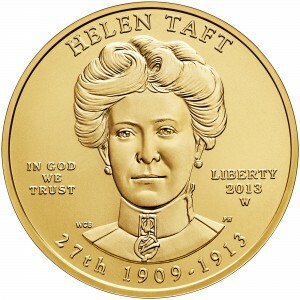 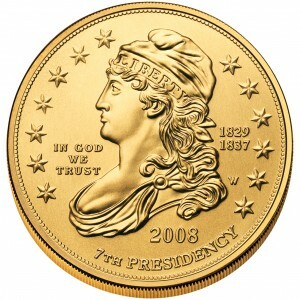 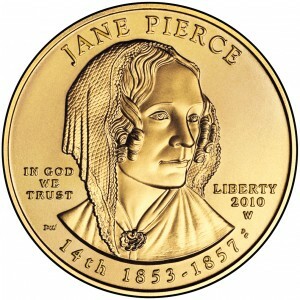 A series of 24-carat gold coins display portraits of the former First Spouses of the United States. 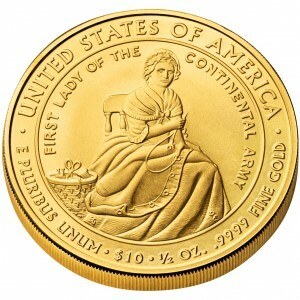 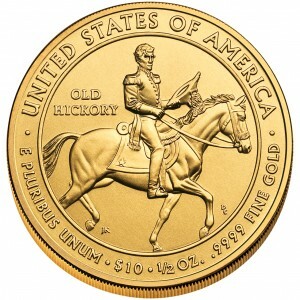 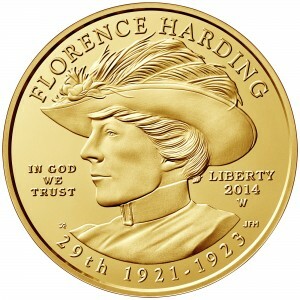 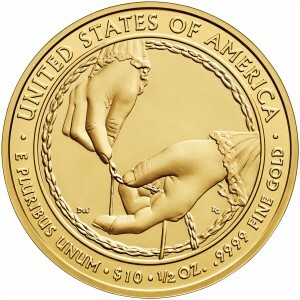 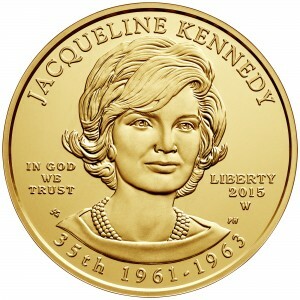 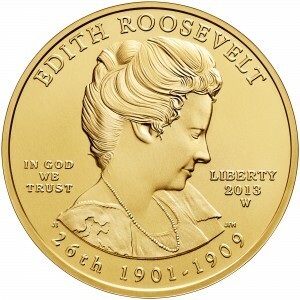 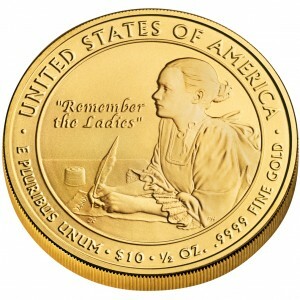 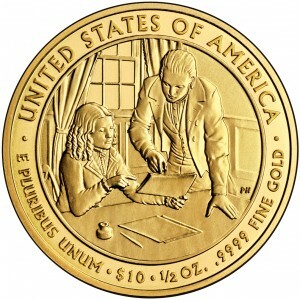 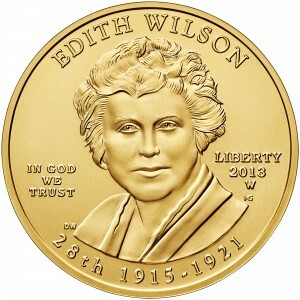 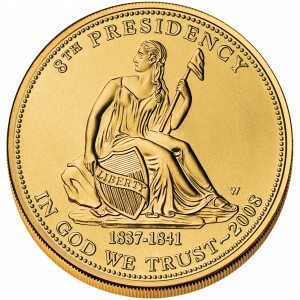 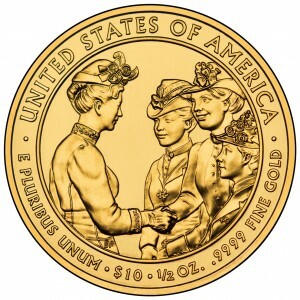 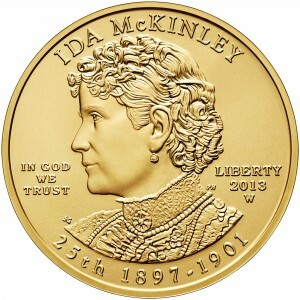 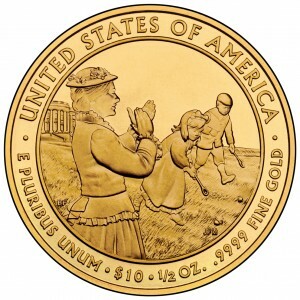 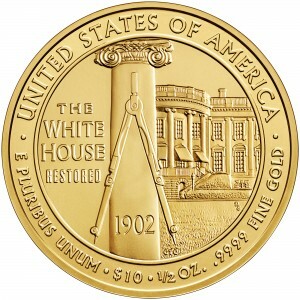 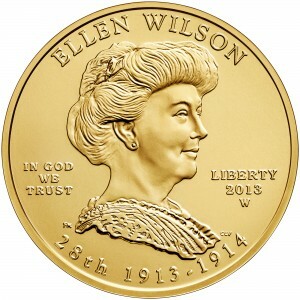 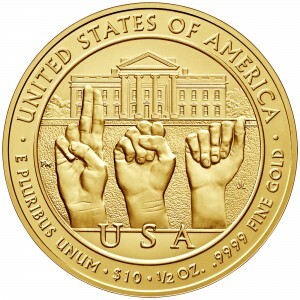 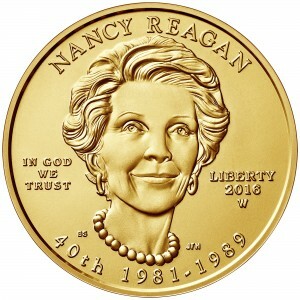 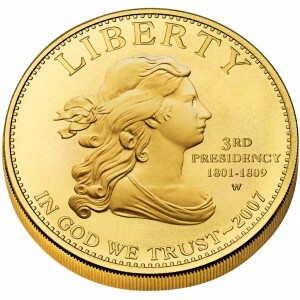 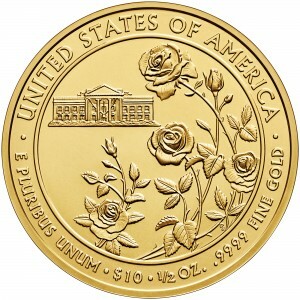 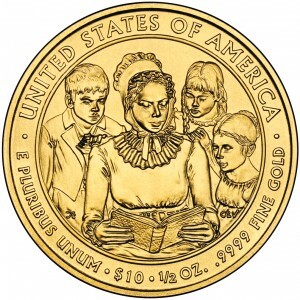 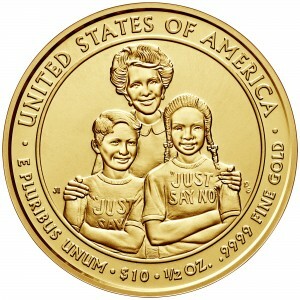 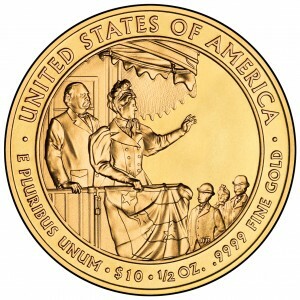 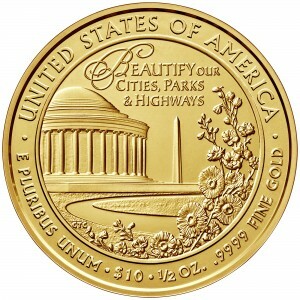 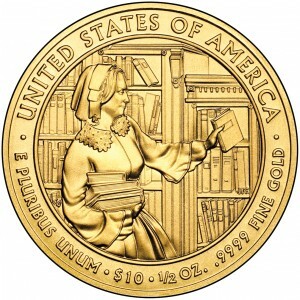 The ten-dollar coins, each one made of half an ounce of gold, feature the Presidents’ spouses in the order that they served the country. 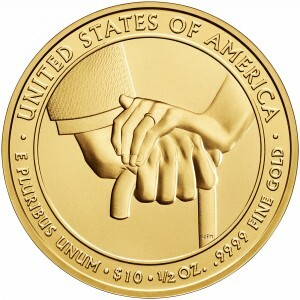 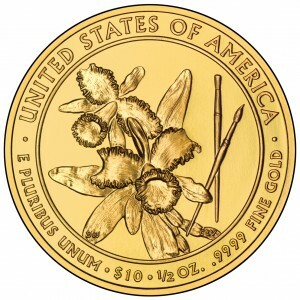 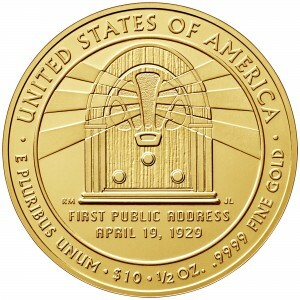 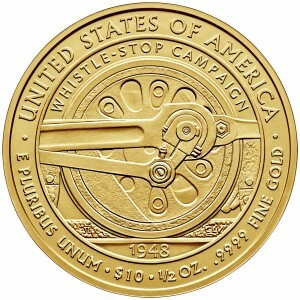 The image on the reverse (back) of each coin illustrates part of that spouse’s life and work, along with standard inscriptions. 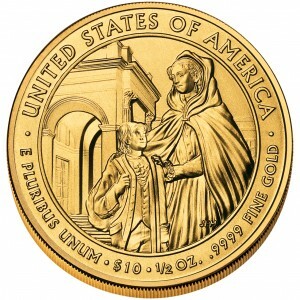 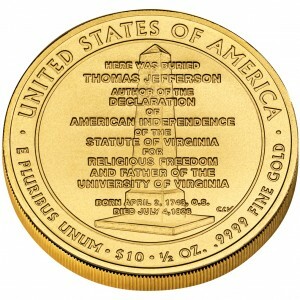 When a President (such as Thomas Jefferson) served without a spouse, an image of Liberty from a circulating coin of his era is used on the front. 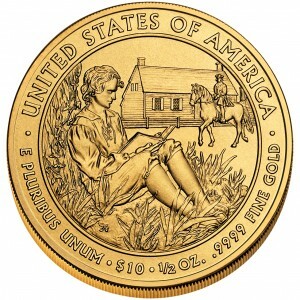 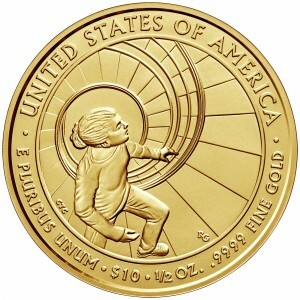 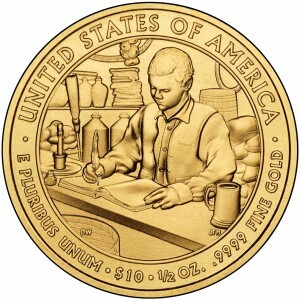 The image on the reverse (back) illustrates themes from that President’s life and work. 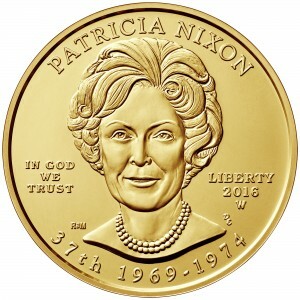 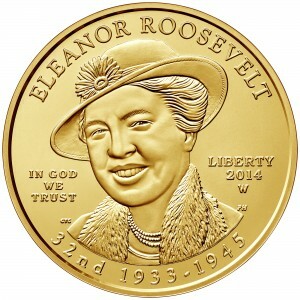 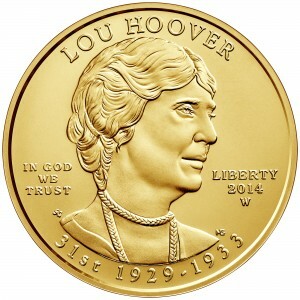 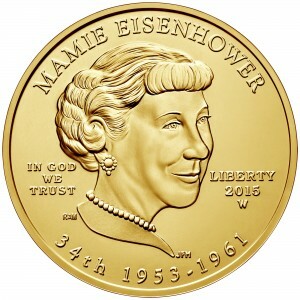 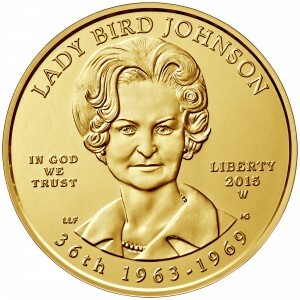 First Spouse coins are released on the same schedule as the Presidential $1 coins. 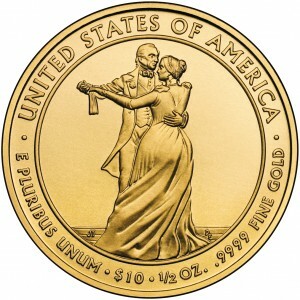 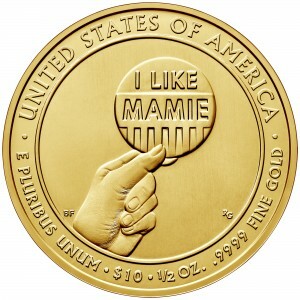 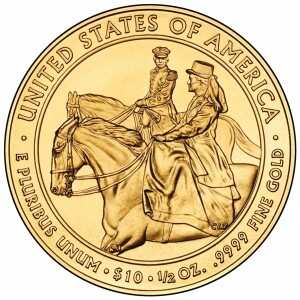 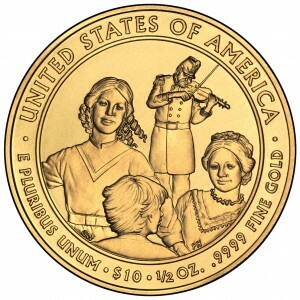 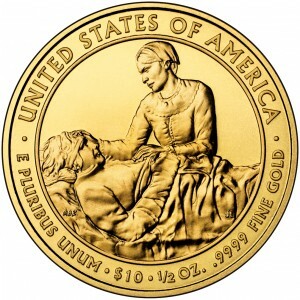 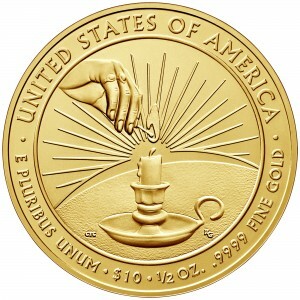 Bronze medal duplicates of the First Spouse coins are also available.